Parts manufactured by the aerospace and automotive industries are becoming more complex due to technology advancement. Tolerances that should keep up with metrology standards and quality control are now increasingly optimized and sophisticated. Moreover, customers need their dealers to ensure their own control in compliance. All these requirements put a lot of pressure on quality control teams and metrology. 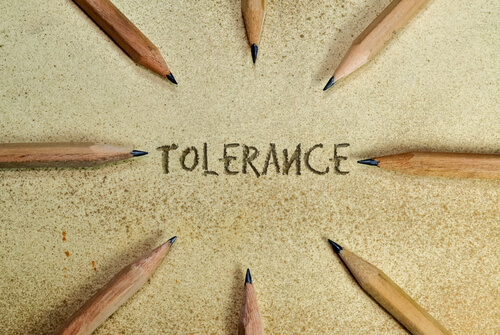 This post will explore how we can deal with constantly increasing pressure on tolerances. First of all, let’s take a look at the major reasons for evolution in quality control requirements in the aerospace and automotive industries. In order not to affect the perceived value and final quality, released tolerances have to be offset by more efficient and optimized assembly processes. Initially, the approach used was to have very tight tolerances to ensure the clients got the final product without issues. This approach definitely worked and ensured that high quality products were produced than were actually necessary. Today, there is a comprehensive approach to the product and process so that each part is produced with just the sufficient and necessary tolerances. Aircrafts spend a lot in operating costs especially on fuel consumption. A parts manufacturer needs to be as close as possible to the ideal plane geometry to ensure that the fuselage quality is not compromised that can directly affect fuel consumption. Ideal geometry on regular possible surfaces helps to save on percentage points on fuel consumption. For a car manufacturer to stand out, it means they have to control very complex freeform shapes to ensure they create vehicles with high assembly quality to have a direct impact on the value perceived by the customers. This why major car manufacturers like Japanese, North America and ‘historical’ European use tighter tolerances to stand out from low cost brands. This important differentiator also allows other generalist manufacturers to create cars that are close to quality and luxury standards. One the one hand, the GD & T (Geometric Dimensioning and Tolerancing) has taken its capital importance and on the other hand, the tolerances evolve. For several years, most producers in the modern digital world did underestimate the importance of GD&T. The notion back then was that everything could be treated with colormaps and best-fits. Now that GD&T have begun appearing on the production floor and are more recognized by the industry, manufacturers have adapted to these new systems for communicating and defining engineering tolerances. Due to evolving, parts have now become more complex. As mentioned earlier, tolerances are sophisticated and optimized meaning that dimensions are not the only feature that needs to be characterized. Other features that must be controlled include cutting, surface, roundness and parallelism. The use of portable and modern metrology equipment has become a must. There are different measurement options that manufacturers can choose from. For those that require inspection systems that can be moved to the production floor, they have the option to get more accurate equipment such as 3D scanners. This reduces the pressure on relying on traditional equipment like fixed CMMs.